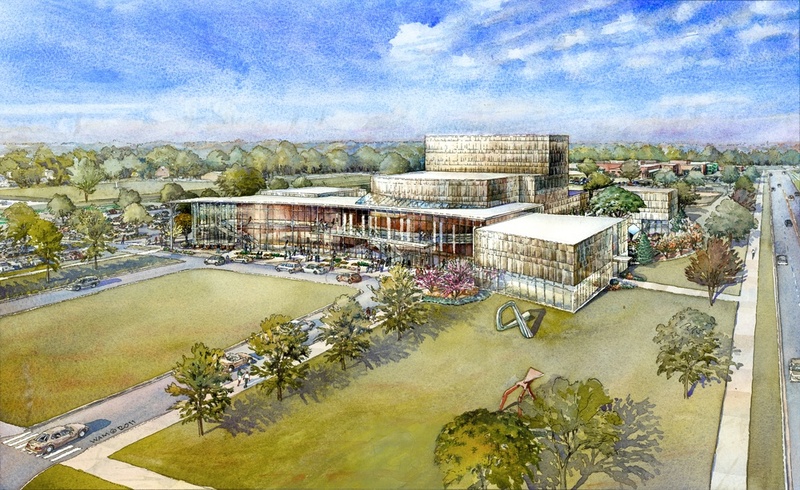 The ground breaking for the Center for the Arts is scheduled for Friday, Feb. 1st at 10 a.m. The Center for the Arts will be built at the northeast corner of Ford and Homer Streets, one block east of the University Lake. The estimated cost is $30 million for a facility with approximately 90,000 square feet. 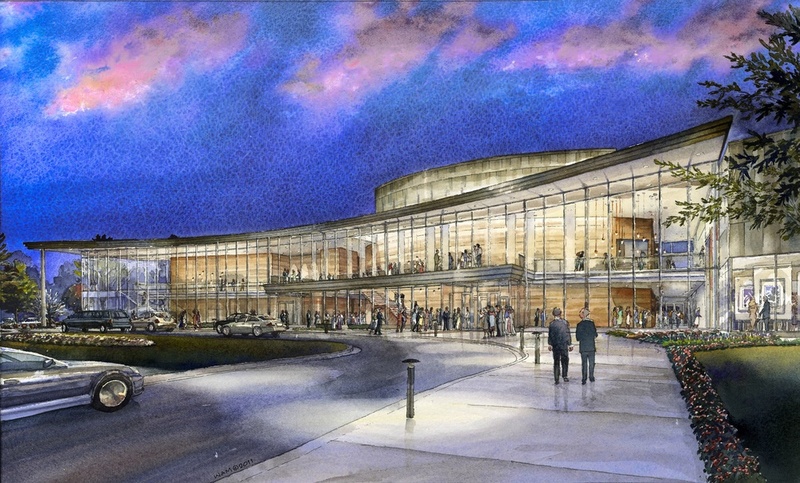 It will include two performance halls, a grand entrance lobby appropriate for receptions and other gatherings, an art gallery, a workspace for an artist-in-residence, a private reception room, a multiuse rehearsal space for large musical groups, and various technical and support spaces. The facility will include a garden/courtyard appropriate for outdoor receptions.